Tone and tighten your skin with this vitamin- and antioxidant-rich formula to help with the absorption of products before and after use. 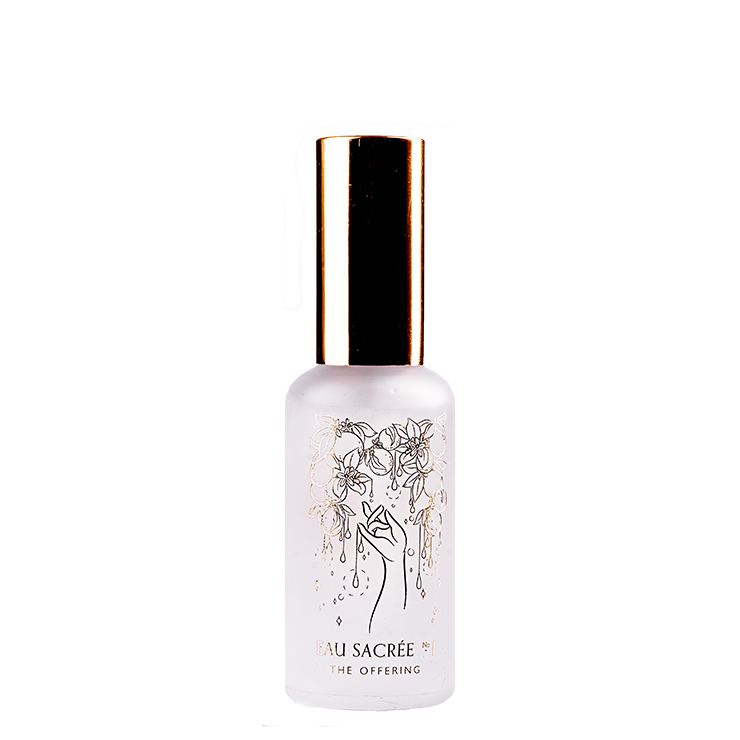 The Offering Ageless Ritual Face Mist by Wabi-Sabi Botanicals is carefully crafted with a blend of black Omani and white Carterii frankincense to make skin feel toned and tightened. Its earthy aroma mixed with floral notes of orange blossom creates a grounding sensation and delicious scent. Your complexion is left looking smooth, youthful and radiant. Mist liberally over clean skin, both after cleansing and before moisturization, for a feeling of max hydration and to ready skin for next steps. May be used to set makeup and as a room spray to calm and uplift the senses. This needs to come in a larger size. Smells gorgeous. I would wear this as a perfume if it came in perfume form. Feels very hydrating and plumping on the skin.